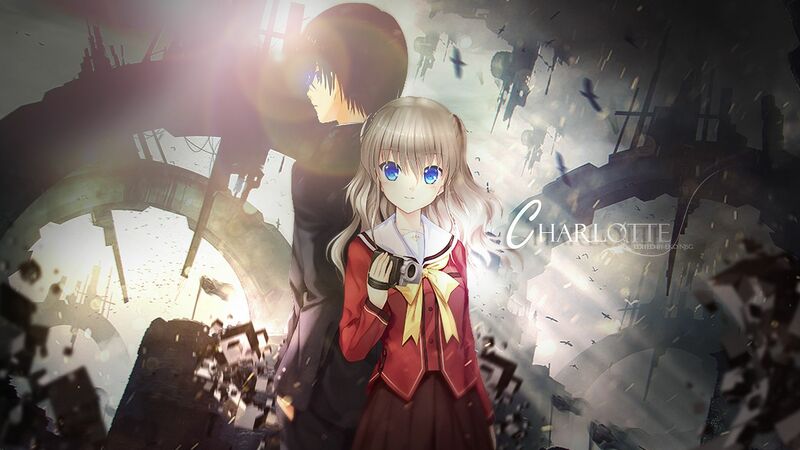 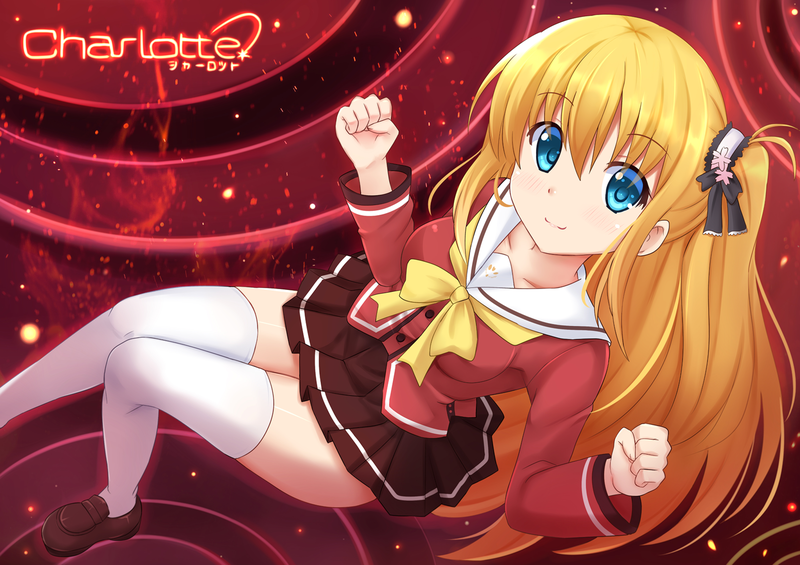 Charlotte (シャーロット Shārotto) is a 2015 Japanese anime television series produced by P.A.Works and Aniplex and directed by Yoshiyuki Asai. 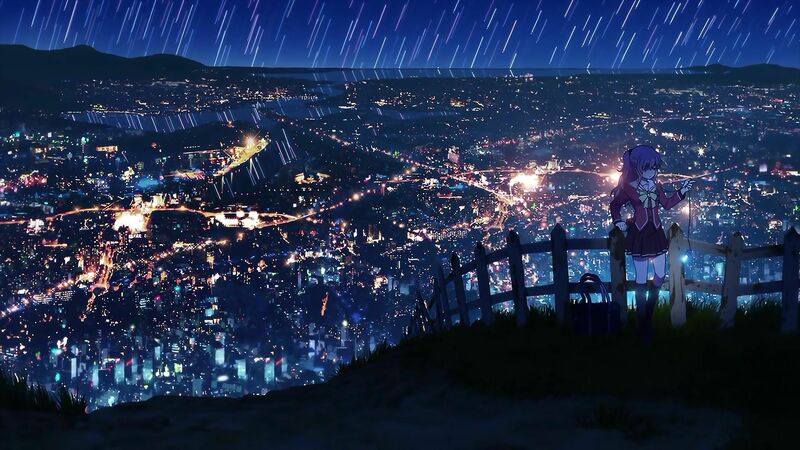 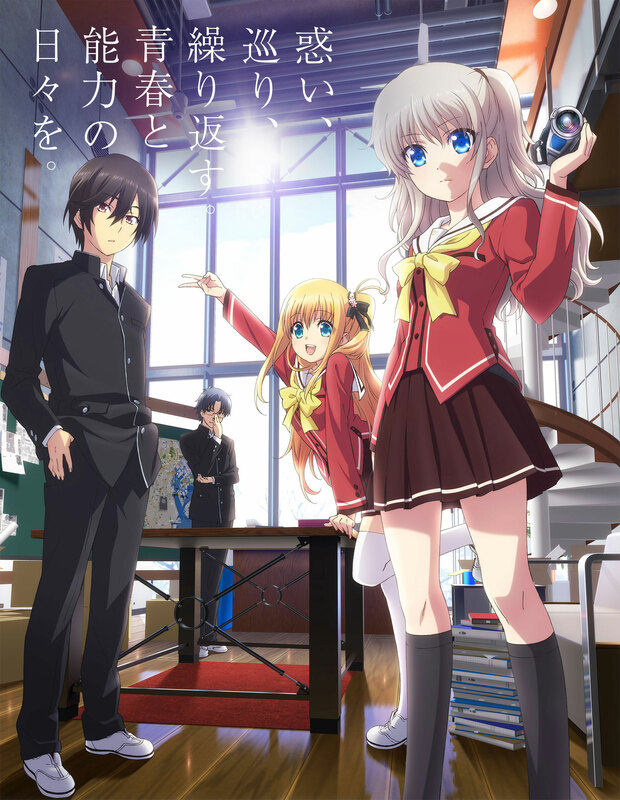 The anime aired 13 episodes in Japan between July 5 and September 27, 2015. 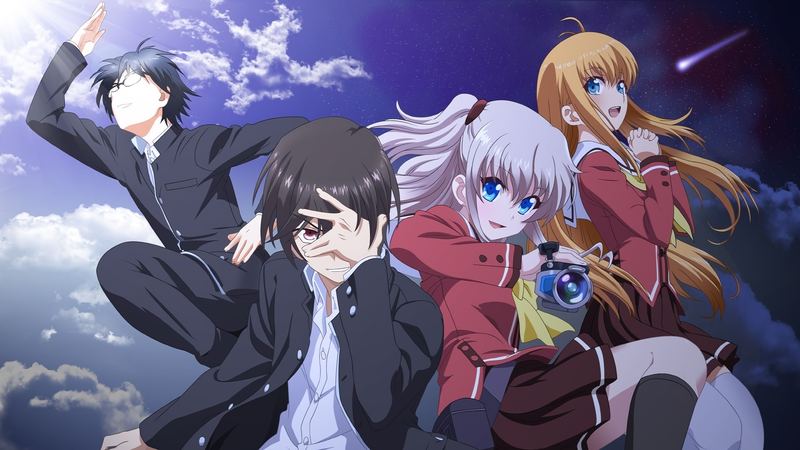 An original video animation episode was released in March 2016. 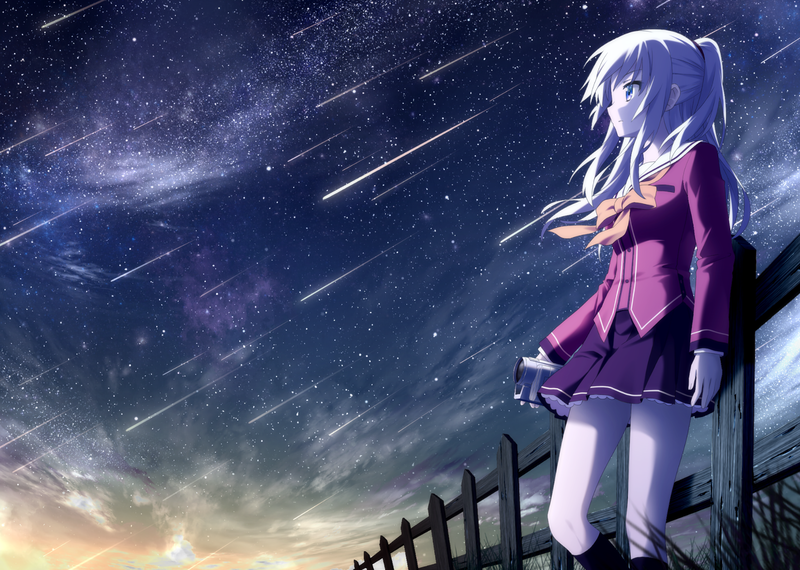 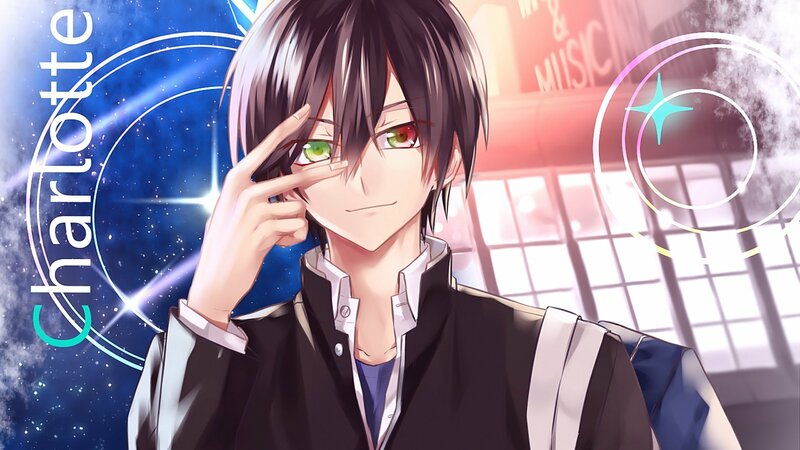 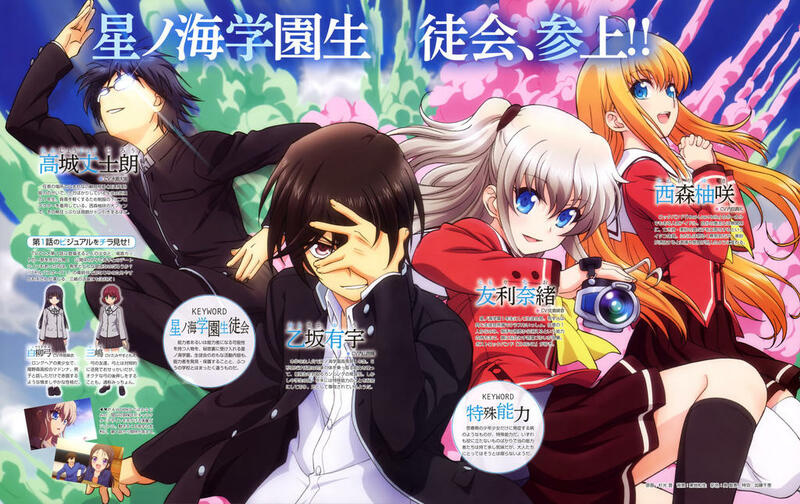 Two manga series are serialized in ASCII Media Works’ Dengeki G’s Comic. 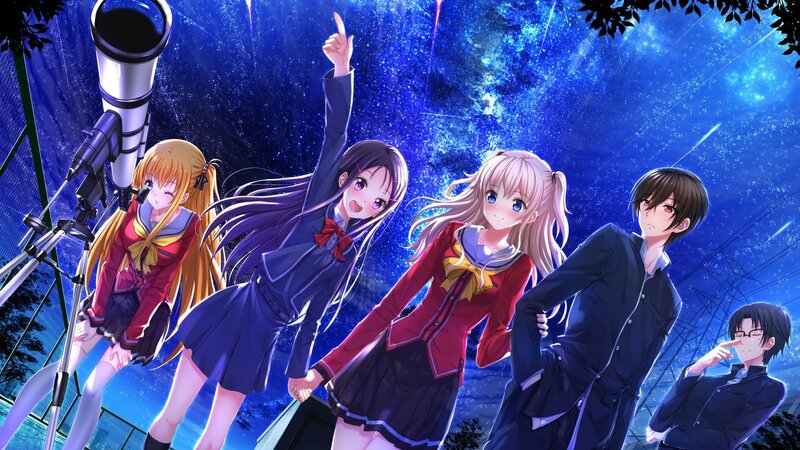 The story takes place in an alternate reality where a small percentage of children manifest superhuman abilities upon reaching puberty. 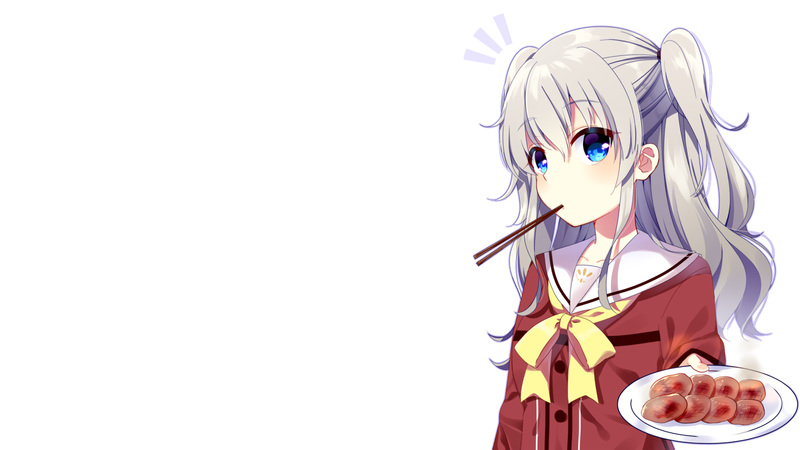 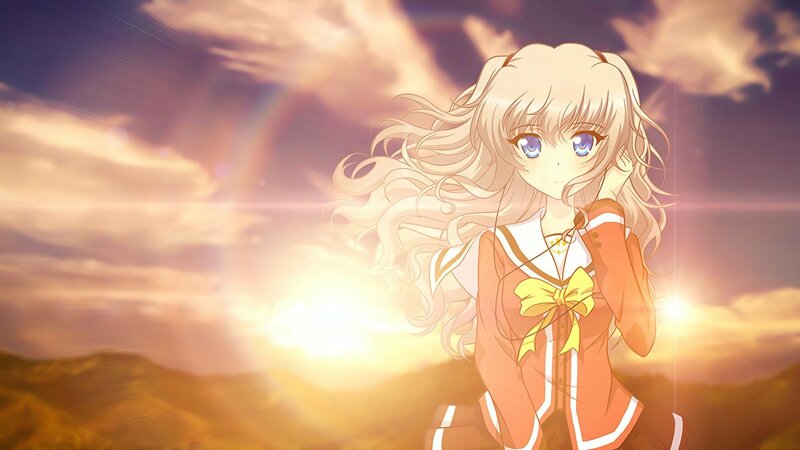 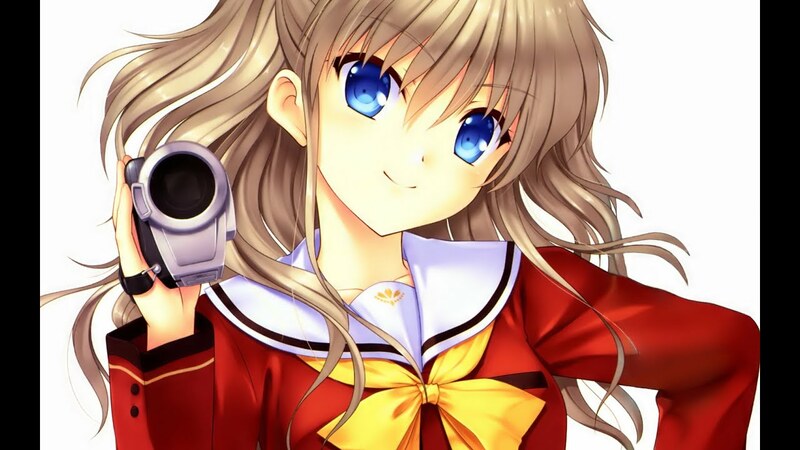 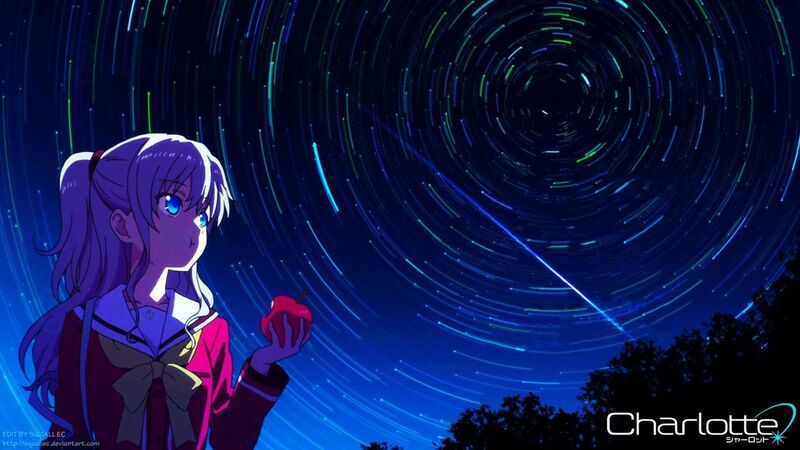 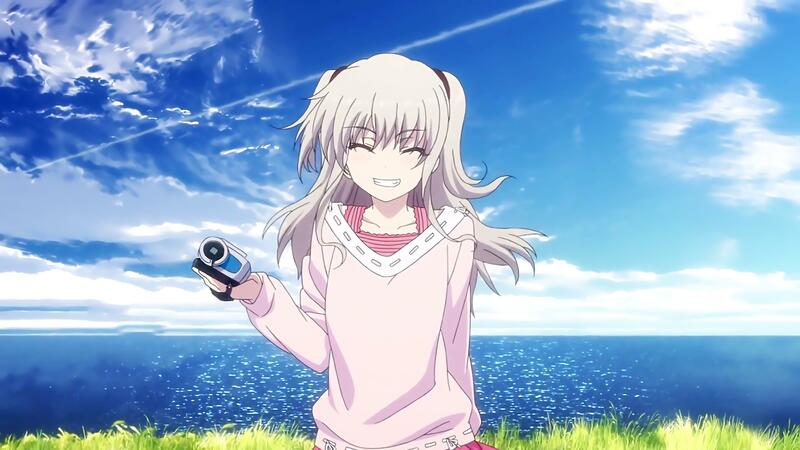 A focus is placed on Yuu Otosaka, a high school boy who awakens the ability to temporarily possess others, which brings him to the attention of Nao Tomori, the student council president of a school founded as a haven for children with such abilities.